Is it possible for cotton used by the Indus Valley Civilization to preserved still after all these years? For arguments sake if we assume the people of IVC wrote manuscripts in such mediums as cotton, is it possible for those manuscripts to be still preserved? If so, under what conditions, would they be preserved? Yes, from the perspective of a bioarchaeologists, cotton fibers can be preserved in dental calculus, if cotton thread was processed using the teeth as tools for example. Dental calculus is mineralized plaque and because it is mineralized, it can persist in the form of often surprisingly large deposits around the crown and the roots of the teeth even in ancient archaeological specimens. Bioarchaeologists have studied these deposits to understand the evolution and ecology of microorganism communities in ancient oral microbiomes (e.g., Adler et al., 2013; Warinner et al. 2015). However, in an article entitled “Dirty Teeth and Ancient Trade”, Samantha Blatt and colleagues (2010) also demonstrated that calculus can preserve plant remains from non-dietary species. In their paper, Blatt and colleagues documented the presence and occupational use of cotton fibers in dental calculus from skeletons buried at a Late Woodland site in Ohio. They argued that because dental calculus mineralizes during the life of the individual, through contact with the saliva, and does not accumulate or change after the individual’s death, the incorporation of “botanical debris”, including cotton fibers, would indicate those plants were in the mouth prior to death. Dental calculus has not yet been studied for skeletons from Harappa or other Indus sites. For remains excavated early in the 20th century, it would probably not be feasible because the teeth (and calculus deposits) are coated with preservatives that would probably hinder analysis (although this remains to be tested). However, for skeletal remains that were excavated in the past few decades, this type of analysis could potentially yield a lot of information about oral health, infections, and even potentially about plant use. The cotton used during the Indus has been preserved because it was either burned and became carbonized, or it was preserved through the actions of metallic salts on copper or silver. I guess people used cotton threads, attested in the subcontinent since the IVth millennium BC (in the cemetery of Shahi Tump, on a copper seal, and more recently found by me, on the drill heads used at Mehrgarh), or other fine vegetal fibers. 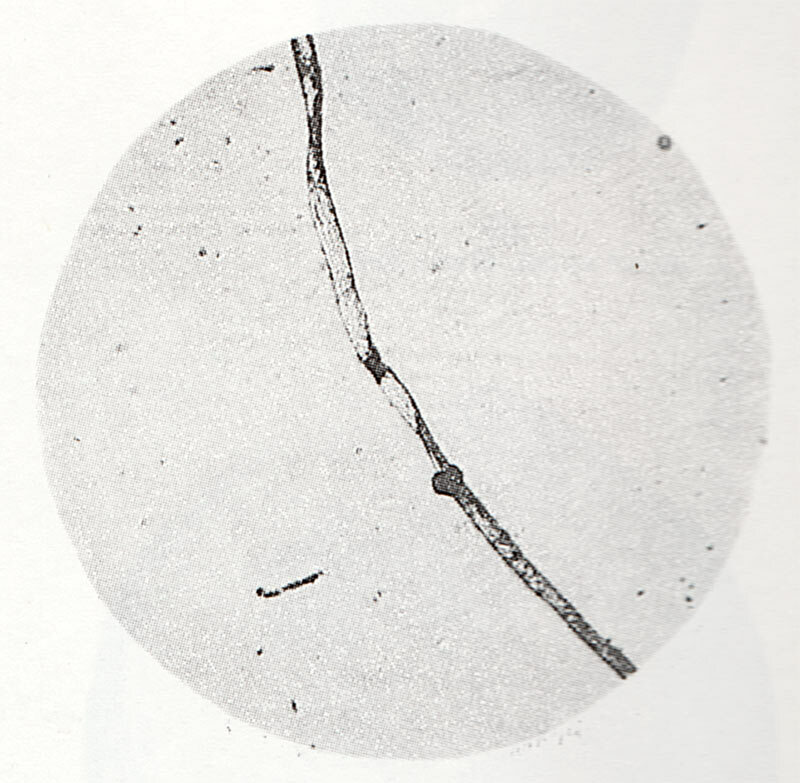 A thread of Indian silk was recently identified within a copper bead found at Harappa. Cotton can be preserved as pseudomorphs [a crystal consisting of one mineral but having the form of another]; cotton thread can be identified on clay impressions. Above: A small piece of cloth discovered in the Marshall-led excavations at Mohenjo-daro. More on this cotton fragment.